After I had to be rescued from a nursing home in Desert Hot Springs, Ca., where I was drugged in order for them to seize my assets I moved into a small studio apartment in Palm Springs. When I was no longer able to walk or use my hands, I reluctantly moved into the Premium Care Center in Palm Springs, where I happily was looked after with kindness and compassion 24 hours a day. It wasn’t long before I became productive again! 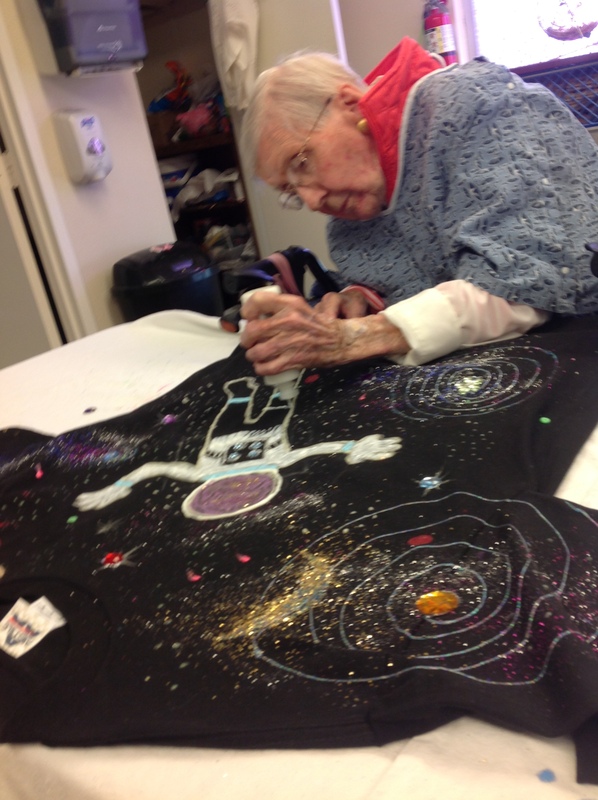 94 year old Marguerite “Pam” Bryske, resident of PREMIER CARE CENTER in Palm Springs, Ca. with two of her hand painted creations she made with Blaire Dewar. HERE’S THE VIDEO OF ME DANCING IN MY WHEELCHAIR TO SONG I JUST WROTE “DANCE IN YOUR SEAT” WITH TRADE MARTIN. MY DOCTOR SAYS IF I CONTINUE TO MAKE PROGRESS LIKE THIS WITH MY PRP INJECTIONS I COULD BE WALKING IN A COUPLE OF MONTHS! Artie, I am so happy that you have found a place where you are happy, the staff care for and about you, and you are productive and giving back to the world. As soon as I have a little extra cash I will send it for your projects. Your best days are ahead of you, my friend.